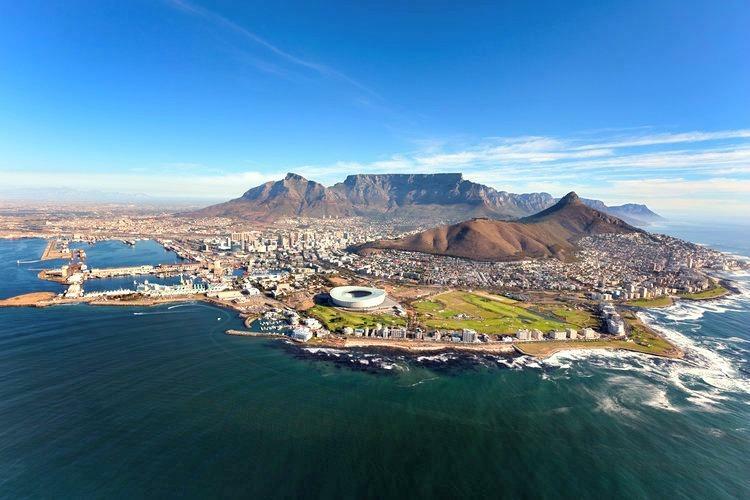 Remember earlier in the year when the news was abuzz about Day Zero in Cape Town, South Africa? According to the press at the time, the day was looming when the city of 3.74 million people would run completely out of water. First, the date of Day Zero was heralded as April 16th, then May 11th, then June 4th. Now, they’re saying the disaster has been averted for now, but that it could happen in 2019. And if you think the water restrictions in California are tough, wait until you see what they’re doing in Cape Town. So how did Cape Town avoid Day Zero? Day Zero was delayed by a combination of things. Fortunately, there was some rainfall, and citizens went to great effort to reduce their water usage. There was a public campaign to basically scare Capetonians into compliance with conservation efforts. Oh, and then there was the public shaming. There’s even a website where you can check the levels of the water supply. The water restrictions there make the water restrictions announced last week in California look like a hedonistic luxury vacation to the folks living in Cape Town. I got a friendly email from a Jaco, a reader who lives in Cape Town and he told me, basically, we ain’t seen nothin’ yet. Instead of a luxurious 55 gallons per day per person, Capetonians are limited to 13.5 gallons per day per person. Here in Cape Town, we came VERY close to running dry. We are still not out of the woods by any means, the city can still run out of water in 2019 onwards unless we stop relying on just the rain. So we are forced to use 50l pppd = 13.2086 gallons per person per day. 1) You get billed some serious money for the extra water. 2) If you continue, your flow can be limited with a device to just 50l pppd. 3) And if you keep on ignoring the above, they can take legal action. We are 6 people using 5000l of water consistently (1320.86 gallons) per month for EVERYTHING. There are some seriously clever things we were forced to do. I now realise the amount of water we, as a city, wasted before. So, obviously, I was dying to know the clever things they were forced to do. There are some fantastic lessons for preppers in all this because if you one day live in a world in which all the water you have has to be procured and carried to your home, you’ll want to conserve or you’ll be hauling water non-stop at our current rates of usage. o We are on 90 second showers if you have to shower per day. People are not showering per day anymore. o Catch all the shower water, use if for the toilet. o We use rainwater – about 50l (13gal) per wash.
o Changed the soap, so we don’t have to use the rinse cycle – that is another 50l. o ALL the water is pumped into a drum, used for toilets. Use pool HTH to keep the smell at bay. o Some people have changed their washing machines, to use <40l per wash with rinsing. o Those days are gone, no really, forget a bath. o If you have to bath, better have a sponge bath. o Catch the water for the toilets. o Nope, 2.5-5l per wash. Better swap the dishwasher for a German model that saves water. Illegal to water the gardens. Have had to let plants die, rather get local fauna and flora that can grow In the area. Illegal to wash your car. Illegal to top up your pool. Pool must have a cover. Use rainwater or order grey water from the council. Because the municipality is now earning substantially less due to less water purchased, the rates per kilolitre went up substantially. We used to pay +-R90.00 for 25,000 litres of water. We now pay R125.00 ($9.83) for 5,000l of water. 25,000 litres (6604 gallons) or of water could cost about +-R25 000 ($1965.73) today – if you dare. The key is the reuse of gray water, something that very few places in the United States are doing. We found that ALL the grey water we generate, not kitchen grey water, can be used for the toilets. That is the biggest saving. Not one drop of clean water goes down toilets, as all the taps feeding the toilets are closed off. The trick is, ALL greywater must be used for toilets. Without toilets flushing, sickness will enter the equation. Do not flush clean water down a toilet, ever. Invest in portable pools or water tanks, and use that water for like washing clothes, then to toilets. Jaco’s excellent suggestions and information could be very valuable for those facing shortages now or in the future. Unsurprisingly there was government mismanagement involved. #DAyZero went away because it costed the local economy too much due to less tourist. So instead of losing more income and making the ANC look even worse, the politicians “agreed” to suspend DayZero – for now. The problem however, is still very real. Dam levels are slowly rising, but if the dams are not full by end of the year, DAYZero is looming in 2019. Some schemes are online, but in the end, they will not be enough. Need bigger desalination plants. And, we have not reached the set 450mil of water per day for the city as a whole. So for now, the new norm is fixed on 13.2086 gallons per person per day. So the 50 gallons, yes, you are barking up the wrong tree – it is going to get much worse. People HAVE to change, not only preppers. A global water crisis isn’t that far of a stretch of the imagination. Michael Snyder of The Economic Collapse Blog has been warning about it for years. The use of water has quadrupled over the past century and with our growing population, shows no sign of slowing down. How do you prepare for a global water shortage? This will affect us not only with forced restrictions like we’re seeing in California but with escalating water bills. Obviously, that will be much more of a deterrent to the poor, since the wealthy won’t have a problem paying the high prices. Some projections on a government webpage that is no longer available suggested that we could see our water bills as much as triple over the next 25 years. Meanwhile, one must ask whether companies like Nestle will be able to drain our lakes for pennies and sell the water back to us for dollars. So what can you do to be better prepared for a situation like this? Not only must you worry about hygiene and personal consumption, but if you have gardens, orchards, and livestock, you’ll need more water for producing food. Look into desalination – If you live near the coast, you might want to consider setting up a personal desalination system. It would be well worth the investment and is simply mindblowing that the government isn’t using some of those tax dollars they’re collecting to do this on a large scale. If you consider the fact that many people who sail keep these on board to purify ocean water, you’ll see that the technology exists. They’re not cheap but an incredibly worthwhile investment for those near the ocean. Use well water – Again, we run into the issue of this not being legal in some places, but if you are able to get a well drilled on your property “for agricultural use” it would be a good idea to do it before regulations become even more strict.